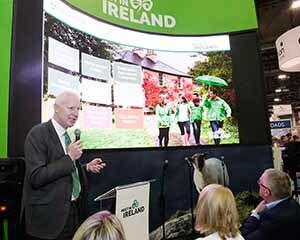 Failte Ireland’ Paul Kelly has told delegates at IMEX in Las Vegas that 360 conferences representing 117,000 international delegates took place in Ireland in 2017. It says Q3 figures also show strong growth in locations outside of Dublin through Regional Convention Bureaux in Shannon, Cork, Kerry and Galway. Failte uses multipliers to calculate that each delegate is worth €1,384 to the Irish economy, a total of €162m. 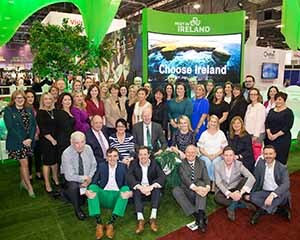 Fáilte Ireland’s Meet in Ireland team are in Las Vegas for the annual IMEX America event with 85 one-to-one meetings and 34 members of Irish trade joining Fáilte Ireland with an additional 470 appointments.